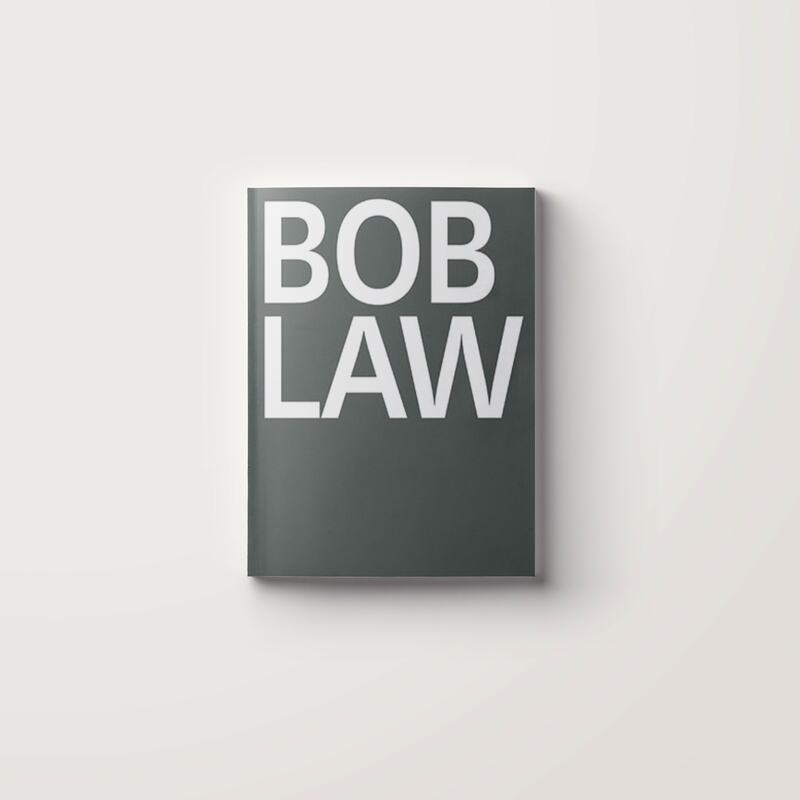 This is the first comprehensive monograph on Bob Law (1934 – 2004) and introduces the artist, his history and his work. Bob Law’s artistic career started in the late 1950s when he moved to St. Ives. Inspired by the landscape, he made some of his most famous works whilst lying on his back in a field. These seemingly simple outlines around the perimeter of the paper lead to a minimalist exploration of lines, shapes and forms. Law went on to make a series of black paintings out of different combinations of dark colours that were exhibited at the Museum of Modern Art Oxford in 1974. A prolific artist throughout his lifetime, Law also struggled with ideas surrounding the legitimacy and significance of abstraction. He took up sculpture in the 1970s, which expanded his oeuvre. His vocabulary of elemental forms, traditional symbols and primary colours, can be seen across his paintings, drawings and sculptures. They include fields, houses, castles, chairs of rectangles, triangles, crosses in red, yellow and blue. This publication brings together the largest group of paintings, drawings and sculpture by Bob Law to date. In addition to 300 images, 6 texts present different moments and themes in Law’s work.